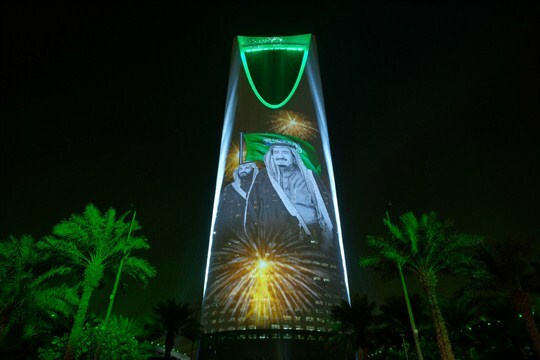 The image of Saudi King Salman and Crown Prince Mohammed bin Salman projected on the Kingdom Tower during National Day ceremonies, Riyadh, Sept. 24, 2017 (Saudi Culture and Information Ministry photo via AP). The dust is beginning to settle after Crown Prince Mohammed bin Salman surprised observers with a purge of prominent members of the Saudi royal family and business community nearly two months ago. Debate continues over how much the detention of 320 key figures in Riyadh was a decisive move to stamp out corruption in Saudi society, or the culmination of a power grab that has unfolded since Mohammed bin Salman burst onto the scene when his father became king in January 2015. Either way, it is clear that policymaking authority is concentrated in one individual to a degree unprecedented in modern Saudi history—and he isn’t even the king yet. With Mohammed bin Salman now the indisputable powerbroker in Riyadh, what he does with his power will determine whether he succeeds or fails in refashioning the kingdom he aims to lead for decades.